I must reconsider my decision to not be a trucker. This morning (in Calgary) I noticed this mobile shredding station. 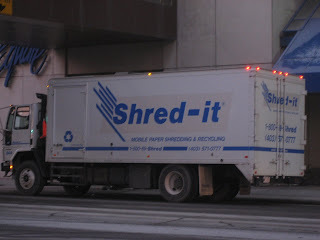 When my career in technology ends I think I want to be a shredding-truck driver.